People are having a fit about Louis CK making fun of "Parkland survivors". Is that what he really did? No. He was doing what I have done; he was making fun of the handful of nasty little anti-liberty bigots who used their attendance at Parkland as a springboard to promote their mental illness and demand we all adopt the same. The rest of the survivors-- those who didn't become social parasites-- were spared his ridicule; he didn't even mention them. 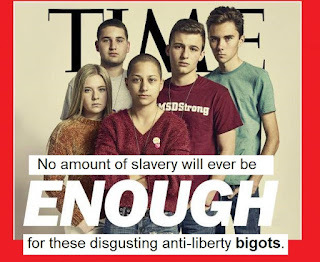 I'll ridicule David Hogg, his barefoot sidekick girl-- I forget her name, and the other "survivors". They are absurd and deserve all the ridicule they get. 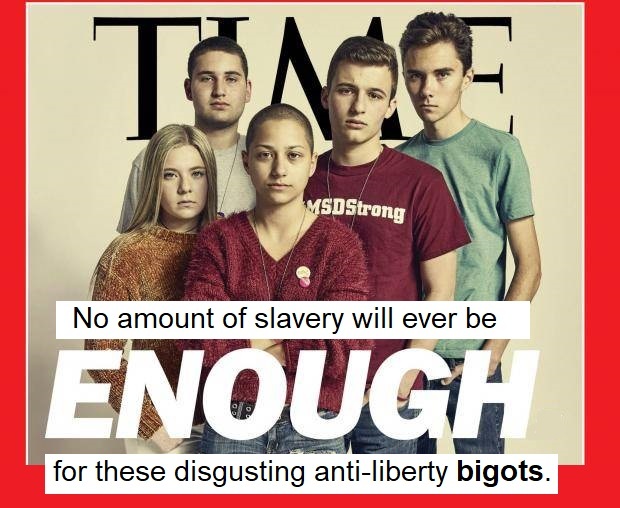 They are promoting slavery. They picked the fight and then whined when people struck back. Like the entitled children they are. And wasn't the vile little Hogg actually at home when the shooting occurred, rushing to the school so he could claim "victim" status and become a Big Deal? Whether that rumor is true or not doesn't really make a difference. He wants government to molest me, so he's fair game for any and all ridicule. So, whatever else Louis CK said may have been rude, but while making fun of those particular "Parkland survivors", I support him. I listened to the routine. Some of it was hilarious. He seems to have a good sense of humor about his own foibles and the resulting trouble. Some of the routine wasn't funny to me personally. But I couldn't really get offended by it. He was making jokes. I'm not a delicate little old church lady who gets bent out of shape about jokes. A lot of other people are. They should rent a sense of humor if they don't have one of their own.